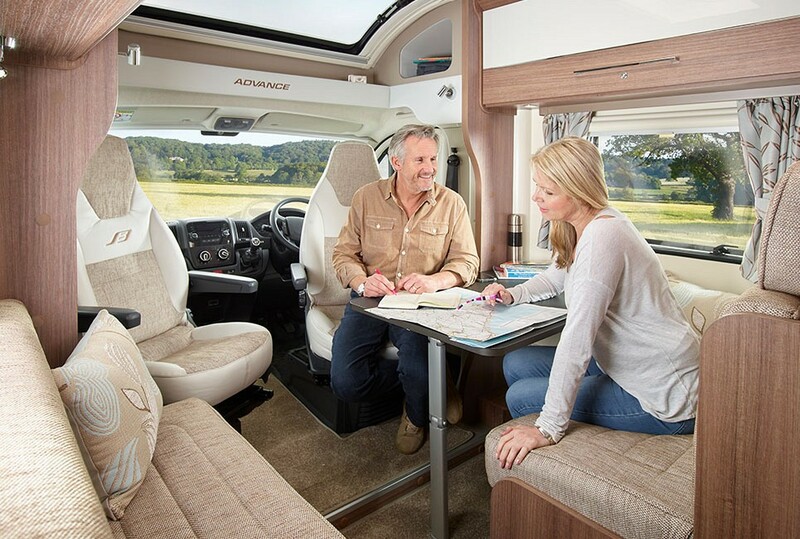 NEW for 2017 is the Bailey Approach Advance 665 6-berth motorhome with 6 travelling seats. 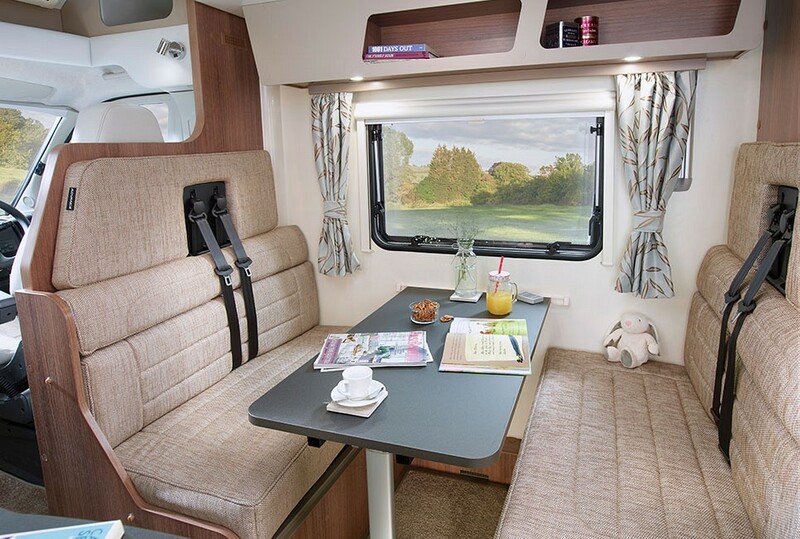 It has clever design features including electric drop down bed over the front dining area which retracts in to the ceiling when not in use. 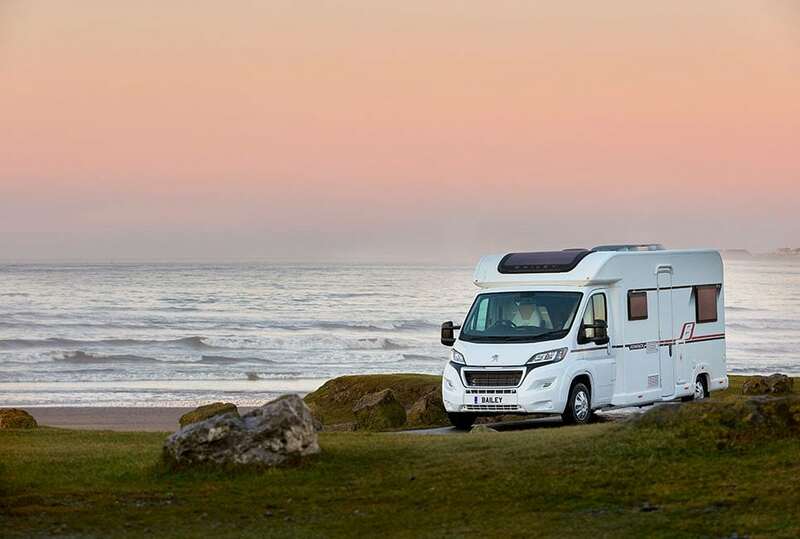 Being a low profile motorhome and only 9 inches longer than the 4 berth motorhome, it’s still easy to drive and great for families or couples looking for the extra space. 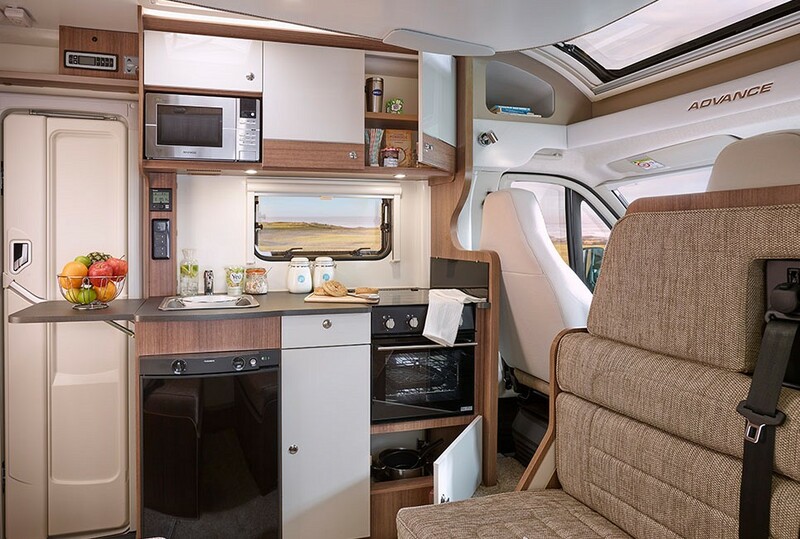 The kitchen area includes all the essentials to support family cooking needs whilst away whether you have an electric hookup or not. The fridge/freezer, hot water and heating works on both gas and electric for improved flexibility and conservation of gas when an electric hookup is available. The fridge/freezer also works on battery whilst driving. 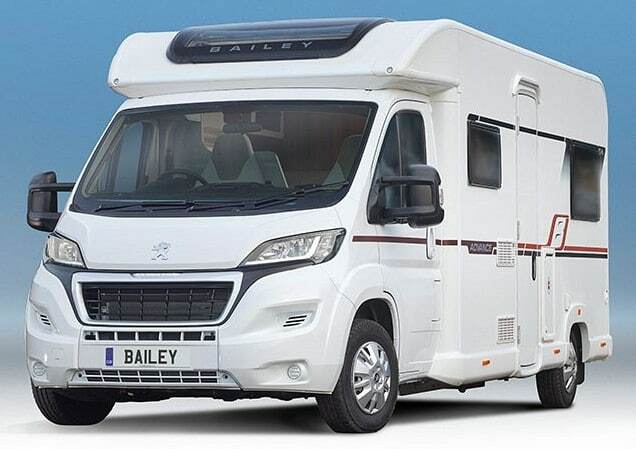 This motorhome is the newer model of the Bailey Approach Advance 665. 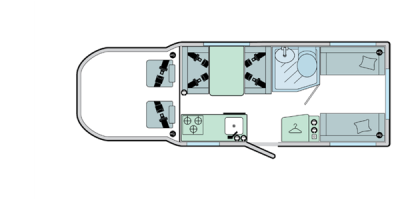 Upgrades include cruise control, larger bathroom and kitchen area, slightly wider (more spacious), Soft close Cupboards and Drawers, Dimmable LED mood lighting with USB charging sockets and new interior design with gloss white cupboards. 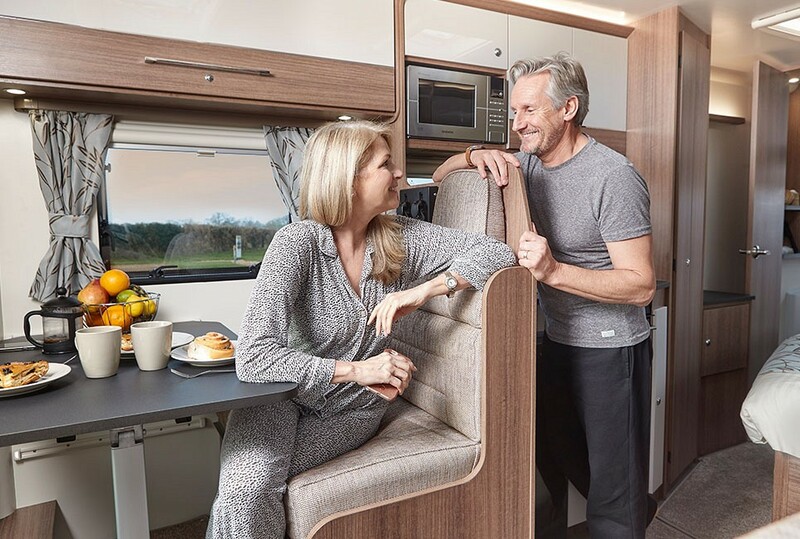 The rear lounge area is home to a Freeview TV which is connected to a highly adjustable aerial giving you something to do when its not so nice outside. Travel in comfort all summer long with cab air conditioning to keep you coll in the summer. 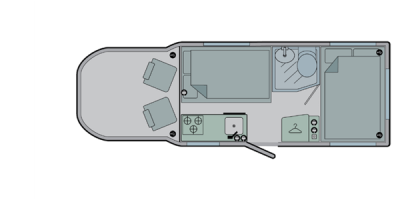 This motorhome has 3 double beds, sleeping 6 comfortably. All 6 travelling seats are equipped with 3 point seatbelts for added safety. 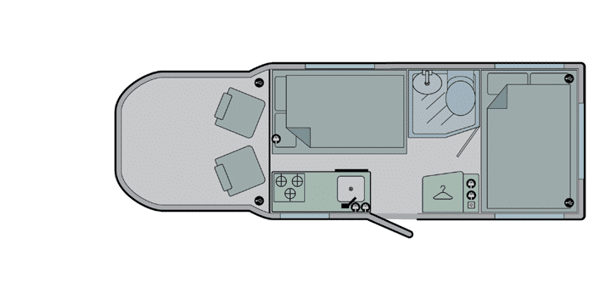 This motorhome is fully insulated and equipped with a blown air heating system. Perfect for a winter getaway. Plenty of USB charging sockets for smartphones and tablets. THE PRICING EXAMPLES BELOW WILL GIVE YOU A ROUGH ESTIMATION TO THE HIRE COSTS. THESE CAN FLUCTUATE DUE TO EVENTS, BANK HOLIDAYS ETC. PLEASE FILL OUT A BOOKING ENQUIRY FORM ON OUR CONTACT PAGE FOR AN ACCURATE QUOTE.